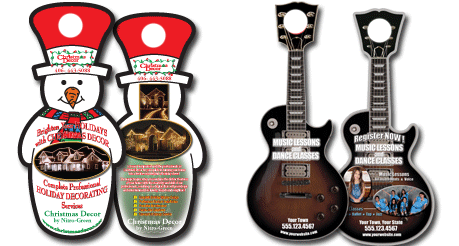 Custom door hangers are available in all shapes and sizes. Add a detachable business card or coupon at the bottom. Choose a unique shape for a memorable marketing piece.